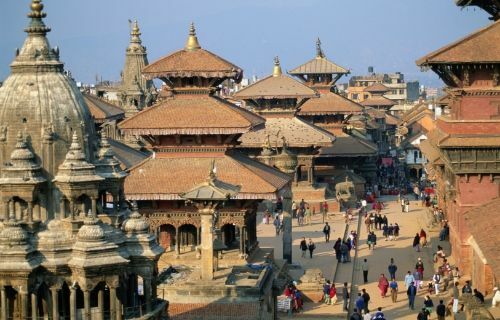 CHECK OUT THIS CURATED LIST OF TOURIST PLACES IN KATHMANDU, SIGHTSEEING ATTRACTIONS. 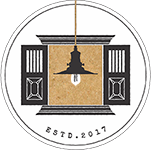 Thamel, we are located in the heart of the tourism district of Kathmandu, where the first guesthouse was started more than 40 years ago. 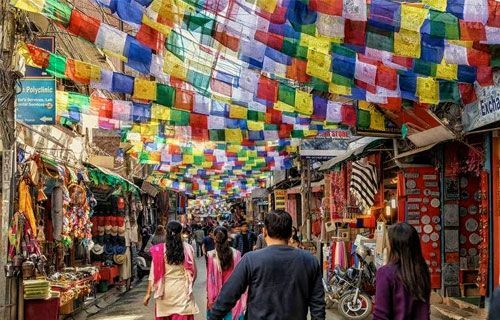 Thamel is now filled with restaurants, cafés, bars, and a lot of live music opportunities to liven up your evenings in Kathmandu. 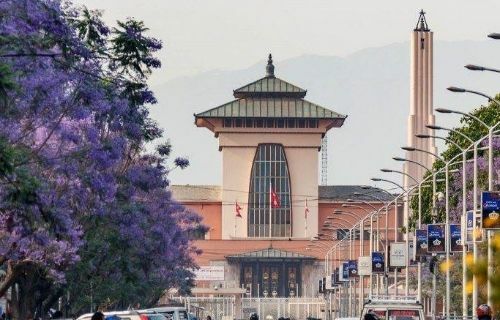 Durbar Marg has many shops and restaurants for the urban crowd of Kathmandu, with the Narayanhiti Durbar, former Royal Palace at one end. 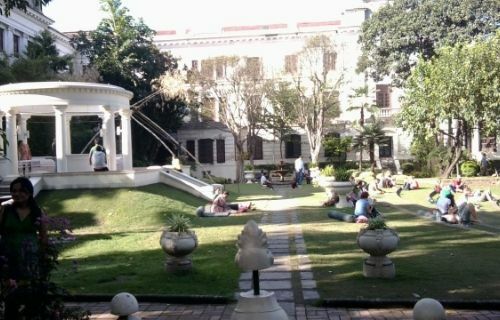 The Palace is now a museum and carries a history an era in Nepali politics that is now behind us. 0.5 km away is the Kaiser Mahal is walking distance, a gorgeous Italian garden restored by Austrian architects with a bar on one side a restaurant on the other end. A lovely place to enjoy the dawn of dusk. 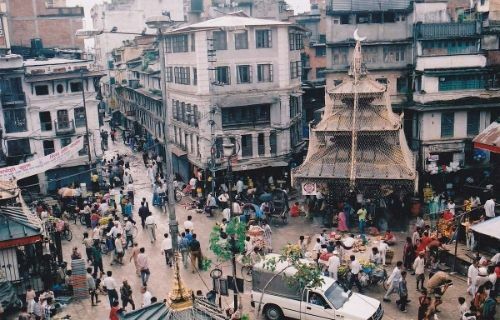 Ason Market was once the business and trade hub of the Newar business community. Today, it’s a bustling market where you can find spices, fruits, nuts, and all the things required for traditional pujas. 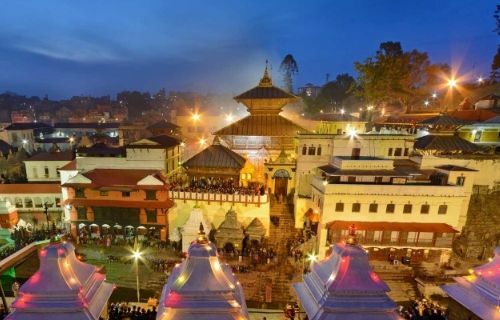 Pashupatinath is the most revered Hindu temple where cremations take place, and before the sunsets a beautiful lamp lighting ceremony and prayer takes place that can be observed from the other side of the river. Boudhanath Stupa not far from Pashupatinath and with a style similar to Swayambhunath is a larger Buddhist pilgrimage site built. 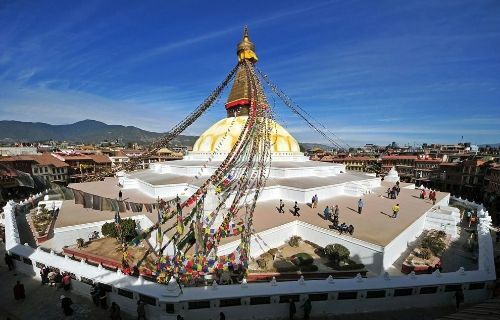 When you go here, do explore all the restaurants and monasteries surrounding the iconic stupa. Patan Durbar Square situated in the city of arts, Lalitpur, had a beautiful museum and gorgeous 17th century buildings part of the Malla Dynasty. 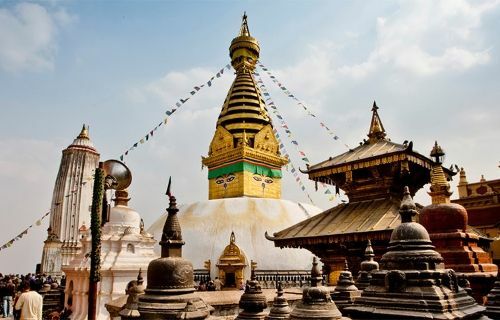 Swayambhunath temple is a 30-minute morning walk away, where you can explore the hustle bustle of old Kathmandu and once you are there, you can get a birds-eye view of Kathmandu valley. It is said that the temple rose in a place where there was a lotus, during the days when Kathmandu valley was a lake. 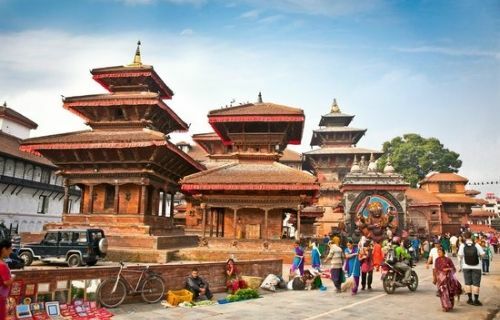 Bhaktapur Durbar Square is worth a half-day trip, with sprawling courtyards, taking you back to the medieval century. 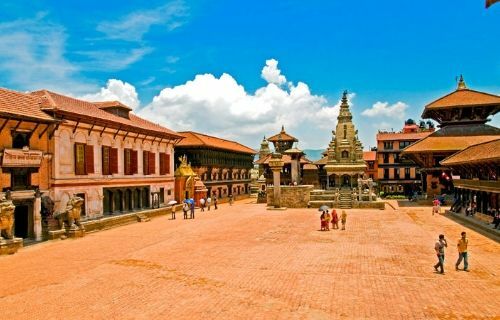 Bhaktapur is known for it’s pottery square, 55-windowed palace and King’s yogurt, which you should not miss on your visit. The service here is nice! The service here is nice, people awesome the stay always makes you comfortable and they find a good and fast solution at any given platform. We are very happy and wish to return to Nepali Ghar Hotel soon! Thank you. Thank you for a lovely stay, very good hotel. See you again.